Registration has started for our holiday dinner this year. It is at a new location this year. 556 St Anne’s Rd (St Emile Church). 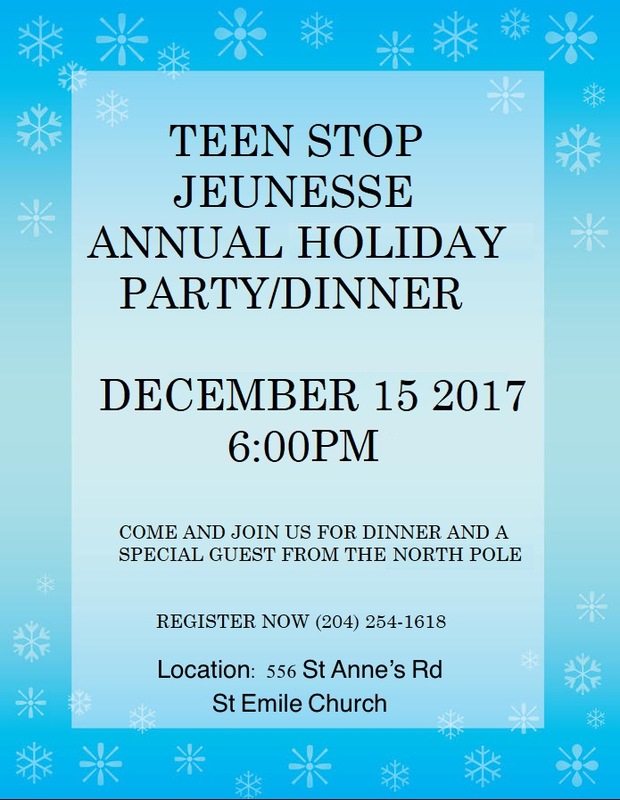 Call Teen Stop to register your family.  (204) 254-1618.